Today, we are one week away from completing our survey on:how the Glory-Spirit is variously conceptualized in the Scriptures. We have already discovered in the Scriptures that in most instances the theophanic( God-shining) glory is expressed as some form of light, and that God’s creation of light was always intended to dispel all forms of darkness. We have also discovered through expressions dealing with the existence of God’s holy Light in the Scriptures, that His holy Light traverses from being an exclusively externalized guide and glory, to becoming an internal reality, as the Spirit of Christ( the holy Light) comes to abide everlastingly within true believers. Apparently, redeemed Saul was authorized and empowered by the Lord above to administer heavenly glory-judgment upon a divisive sorcerer. Let’s first examine the backdrop to this scene. 4 So, being sent out by the Holy Spirit [from Antioch], they went down to Seleucia [16 mi. 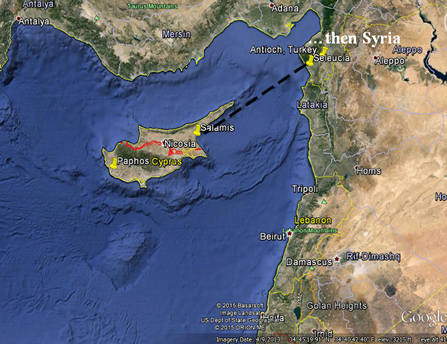 to port city in Syria], and from there they sailed to Cyprus [130 mi. SW]. 5 And when they arrived in Salamis, they preached the word of God in the synagogues of the Jews. They also had John [John Mark] as their assistant. “They” were Paul and Barnabas. John Mark was assisting them, before the split. The second port city Paphos was the Roman government seat of Cyprus. Bar-Jesus was a magician, similar to Simon, a Jew, and a false prophet, characterized by Paul as a “son of the devil,” suggesting that his magic was assisted by demonic powers. and guarding against both curses and demons. Magicians also claimed to foretell the future. 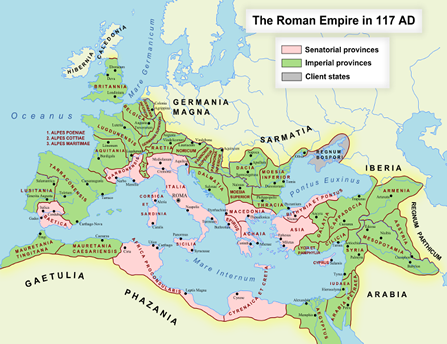 The proconsul was the highest-ranking official, an appointed governor, in a Roman senatorial province. Some inscriptions have been found bearing the name Sergius Paulus. the strategically located border provinces. 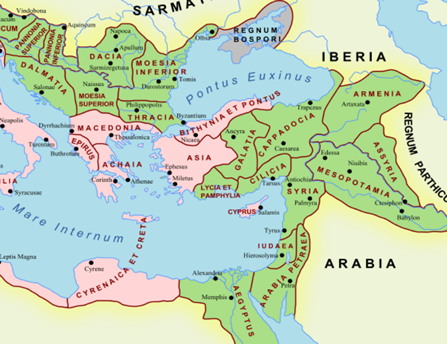 well within the outer borders of the Roman Empire imperial provinces and less likely of a senate-led rebellion, and so had few, if any, legions stationed in them. They were often along the Mediterranean Sea. Bar-Jesus, aka Elymas ( ), apparently was opposed to the missionaries [who were Calvinistic], because he viewed them as threatening his own profitable relationship with the proconsul [regarding CD and bookselling opportunities, as well as world-wide TV and Internet exposure]. The proconsul is the one calling for Barnabas and Saul, desiring to hear the word of God. around seeking someone to lead him by the hand. his role was secondary in this event. At any rate, rest assured that had this event occurred in our day, it would be politically correct for Elymas to receive a trophy for his participation. Let’s remember that we are supposed to rank God’s Word above all other words, to guide and illuminate our spirit and mind. This is an obvious reference to the creation event. The king spoke, and said to Daniel, “I have heard of you, that the Spirit of God is in you, and that light and understanding and excellent wisdom are found in you.